So often when we think about pampering ourselves, the hands are not of first thought. We think massage, body wrap, facial, even feet, and the neglected hands get left out. Our hands need a little love too. Soothing the hands with a scrub and deep moisture treatment will not only create a relaxed feeling, brighter skin, but also help calloused, rough hands. Exfoliating hand scrubs are great for both men and woman, and especially men that put their hands to work. My husband’s friend is a plumber in Arizona. Not only are his hands brutalized from his job, but the heat of the dry Arizona summer doesn’t help his already chapped, calloused hands. Inspired to give him a recipe to help soothe is hands, we thought we would share on our site as well. This at home soothing hand treatment is meant to exfoliate, soften, and moisturize rough hands. Warm towel – moisten a towel and place in the microwave. have it warmed and ready to use after your exfoliation scrub and before your moisture session. Moisture Ingredients: (After Scrub) This is a recipe to make your own. Prep before scrub so it is ready. Raw sugar aides in deeper exfoliation. We highly recommend raw or turbinado sugar for a deeper exfoliation. The coconut oil should be in liquid form. If it is in solid form, just microwave it briefly to liquify it. Mix all of the above ingredients together. Once everything is nicely mixed, apply the scrub to the hands. Massage the hands together, working areas that need a bit more scrub love. You can even work your way up the forearms. If your knuckle area is dry, spend a little more time there. Work the scrub with your gentl massage for 3-5 minutes. Place warm towel over exfoliated hands. Let sit for 1-2 minutes. Remove and dry hands to prepare for moisturizer. Measure your beeswax in a glass container. 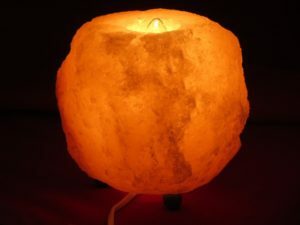 Gently warm the glass container in a bowl of hot water to melt the was. Mix with above ingredients. Make sure to fully mix well. Let sit and solidify. Apply a generous portion to hands that have been exfoliated and allowed to sit with a warm towel. Apply the lotion mixture up the forearms. Work in between fingers to get all of the crevices of the hands. The moisturizer and exfoliator are alss great for the feet…so don’t be shy to give the feet a little love too. The benefits of yoga range from physical to mental benefits. Our bodies are the vessels in which carry us through life. Yoga can help to strengthen, calm, and improve this vessel. Many of us do not even stop to take a deep breath once, all day long! 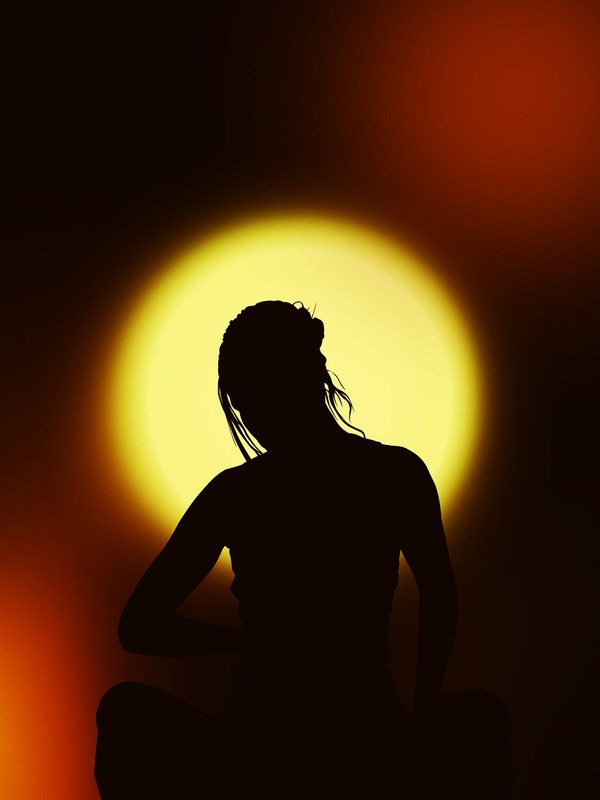 Breathing is a fundamental part of yoga, really of life. Deep breathing not only improves lung function but takes the body from the sympathetic nervous system control to parasympathetic nervous system control. This system keeps our body in a more relaxed or “at rest mode”, decreasing blood pressure, heart rate and stress hormones. This is just a look at some of the in depth benefits of what yoga can bring. So why not explore a gentle home practice, even if it’s only once or twice a week. Set aside 20-30 minutes for some light yoga and deep breathing. This article will begin with a breathe practice. Breathing is the essence of yoga and plays a major role in how the body responds to what we do. The breath allows us to tune inward and discover a space of peace. 10 minutes of yoga breathing. To begin find a space that has a little room and some quietness. Sit upright in a comfortable seated position. Soften your shoulders and keep your eyelids gentle closed. Begin by taking 3 deep breathes. On your exhale, allow your belly to begin to deflate and draw inward as you exhale the air out of your chest. Repeat. Be very aware of your breathing and how you are feeling. Do you feel slightly constricted or free. Do not force the breath, but allow yourself to find a natural flow. Breath with intention. If your mind loses focus of your breathing and tries to scramble around to find other things to think about, reel it back in. It may not be easy at first, but allow it to be what it is. Keep you intention of following the breath. Now take 3 more deep inhales and exhales. For the next 2-3 minutes, breath naturally in and out. Do try to fill the body with air. Feel the breath move into the shoulders, the legs, the feet, but without force. In and out. Gently open your eyes. Stand up and lift your arms overhead as you take an inhale. On the exhale release the breath and the arms towards the floor. How do you feel? If you have 2-3 minutes to briefly note how you feel or an thoughts that came to mind, please take the time to do so. We will soon follow with a short yoga movement sequence. If you have questions. please feel free to reach out. When it comes to wellness, hydration and that healthy glow we all crave, Rose Water is one of the most widely used elixirs as a hydrating toner and natural skin refresher. Here at Diana’s Day Spa we promote and use it frequently. What most however don’t know is how good it is for your insides too when ingested! That’s right one of our little spa secrets that we want to share with our online spa guests is that Rose Water is amazing for creating that rosey hydrated glow from the inside out. In fact it has numerous positive effects on our bodies when ingested. Consuming Rose Water on a regular basis helps flush out break out causing toxins leaving your skin clear and healthy. Also known for its amazing effects on your digestive system. Because rose water naturally flushes toxins out of our bodies our digestive systems are able to work flawlessly. In turn our immune systems are boosted because there is no extra strain on the body to function properly. Rose water is also known for it’s anti-inflammatory capabilities as well as it is a natural antibacterial healing antiseptic. 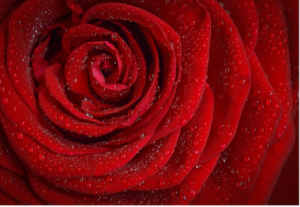 Still there is more that Rose Water offers our bodies and mind! 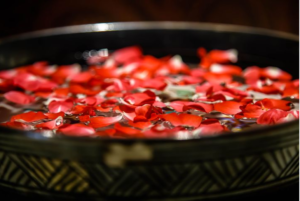 Rose water is a known mood enhancer and has calming abilities to help us relax and de-stress. 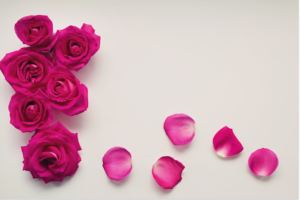 There are many ways you can incorporate rose water into your daily routine and you will soon be amazed at all the positive effects it has on your body. Having a get together with the ladies? Make fresh lemonade with rose water. Or perhaps add it to champagne to help stay refreshed from the dehydrating effects of alcohol! We encourage you to use it both for external skin care as well as the wellness flourishing effects it has on our insides too. To make your own rose water elixir at home follow the recipe as listed. It is such a simple thing to make with almost no time spent at all. The amazing effects you start to see and feel will have you thanking us for this amazing secret! Keep in the fridge in a mason jar for adding to recipes!